Sadly, the neon sign is now gone. 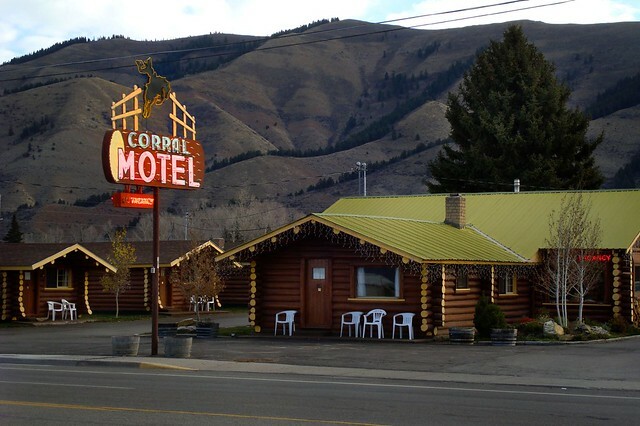 The new wooden one for what is now called The Corral Lodges is certainly better than a plain plastic sign but…well, just be glad that "arbyreed" took this wonderful photograph of it before it was too late. Posted in Retro/Vintage, sign, TravelTagged Americana, neon, Route 89Bookmark the permalink.